Google recently introduced the Nexus Player, a TV set-top device designed to rival Apple TV and Amazon’s Fire TV. It costs the same as those two competing products — $US99 — and it offers similar features: It has rows of different applications to choose from, a dedicated gaming controller like the Fire TV so you can play Google Play games on your big screen, and the ability to stream or “cast” Google applications like Chrome and YouTube from one’s computer or mobile device to the TV. 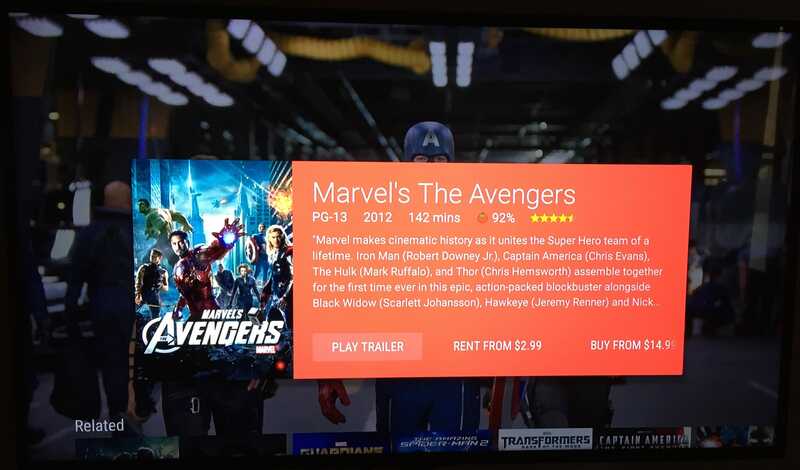 Once you’ve signed in with a Google account, any movies, music, or games you’ve previously purchased through Google Play will show up on the Nexus Player. I was happy to see all my music already waiting on the device for me — and using it was a pleasure. Songs and media loaded quickly (super-fast 802.11 ac Wi-Fi certainly helps) and it all looked beautiful: Google applied its “Material Design” look from Android 5.0 Lollipop to all the Google-built applications on the Nexus Player. One of my favourite aspects of the Nexus Player was casting. It was super easy to cast content from my iPhone and MacBook to the TV screen, using a “cast” button that instantly pops up on any application that can cast to the Nexus Player. There was no setup involved; it all just worked. Dave Smith/Business InsiderCasting Google Chrome from my MacBook Pro to the Nexus Player. Unfortunately, many of the Nexus Player’s positive attributes end there. Google’s top row of curated items, while presented beautifully, was a bit buggy and generally useless. At one point, it promoted a video from YouTube user Pewdiepie, but when I clicked on it, I got a completely different video, which was about farmland, I believe. When I returned back to the home screen, that farm-related video was nowhere to be found, but clicking on the Pewdiepie video kept bringing me back to my unwanted content. We reached out to Google about these bugs, and the company was very accommodating and willing to send us another demo unit. If this is a software issue, however, these bugs will be ironed out in time. 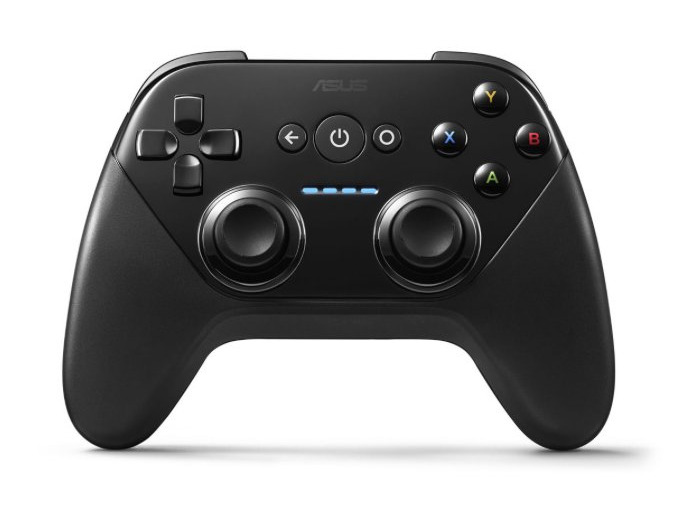 I also tried gaming on this device: You can use Google’s remote control, or you can use a dedicated Nexus Player controller built by Asus. The controller is identical in look and feel to an Xbox 360 controller, so it’s comfortable to use, albeit totally unoriginal. I downloaded and booted up Badland, one of the more beautiful mobile games for iOS and Android. It looked and played great on the big screen, but my experience was totally marred by Google’s obnoxious preferences, which will share everything you do on the game — how many times you play it, your high scores, etc. 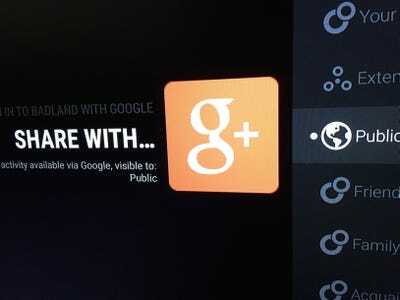 — to Google+ by default. 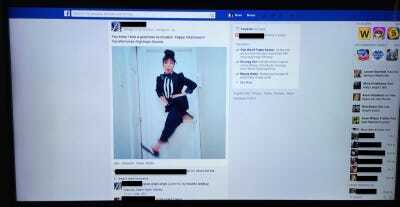 If I want to share anything with any social network, I’d like the ability to share that myself. 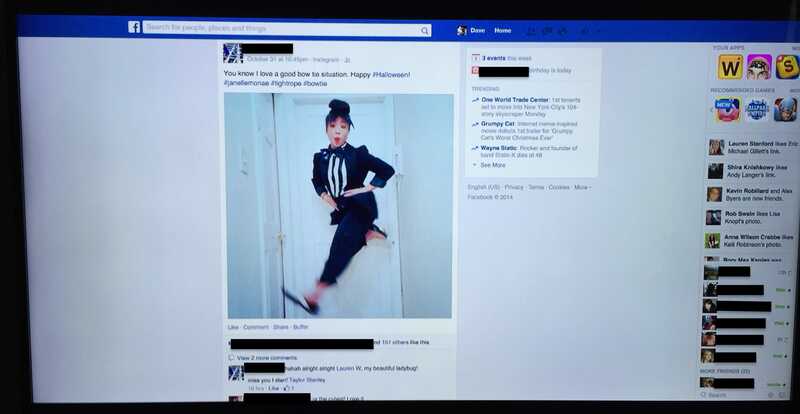 I don’t need a TV set-top sharing content by default, on my behalf, all the time. And more importantly, I shouldn’t need to rifle through settings for each individual game I download to turn off these “public” settings. The Nexus Player also comes with a voice search feature that works well — when it actually works. Unfortunately, the Nexus Player froze on me half the time I used this feature, and I was unable to navigate elsewhere until the interface managed to unfreeze — this took about 5 minutes on each occasion. Hopefully that’s just a software bug limited to the demo products, and not the finished Nexus Player. When it’s not malfunctioning, voice search can be relatively useful. You hold the microphone button on the Nexus Player’s remote control, search for your content, and the Nexus Player will tell you where it’s available. 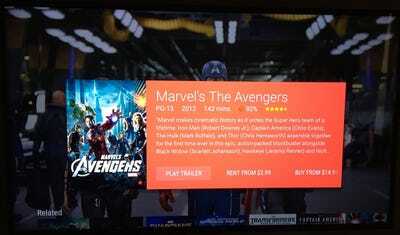 But like the Amazon Fire TV, the Nexus Player can’t search the libraries of Netflix or the other applications you download, so voice search queries and results are limited to what can be found on the Google Play store. All in all, the Nexus Player offers a visually pleasing experience thanks to the Material Design look and the fluid interface. But for a Google product, it’s extremely unimaginative. Seriously, it couldn’t do hardware or software any differently than Apple or Amazon? After all these years, we’re still looking at a black, flat square or circle with a small, simple remote. Here’s the thing: Who needs another remote control in their living room? 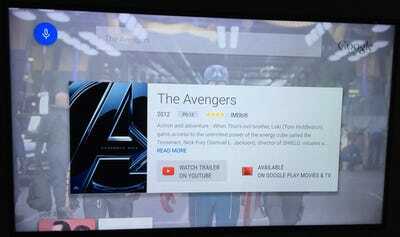 If Google were smart, it’d ditch the physical remote and make the Nexus Player an entirely digital experience. People always have their phones on them, and it’d be extremely easy to summon an application instead of trying to find another slim remote control between your couch cushions. The remote and player are designed well, but when you compare them to other TV set-tops, it lacks “googleyness,” or that special spark that makes it a unique product to Google. At the interface level, the various bugs were annoying, but I would return the Nexus Player solely based off the default sharing permissions attached to games and applications alone. Yes, it bothers me that much. Google has a long history of privacy-related issues, and yet, there are countless default settings, and you don’t know what they are unless you visit each setting individually — Google tries to hide your settings so you can’t see them all at a distance. Therefore, in this respect, I find Google’s approach to app permissions on the Nexus Player to be particularly loathsome. 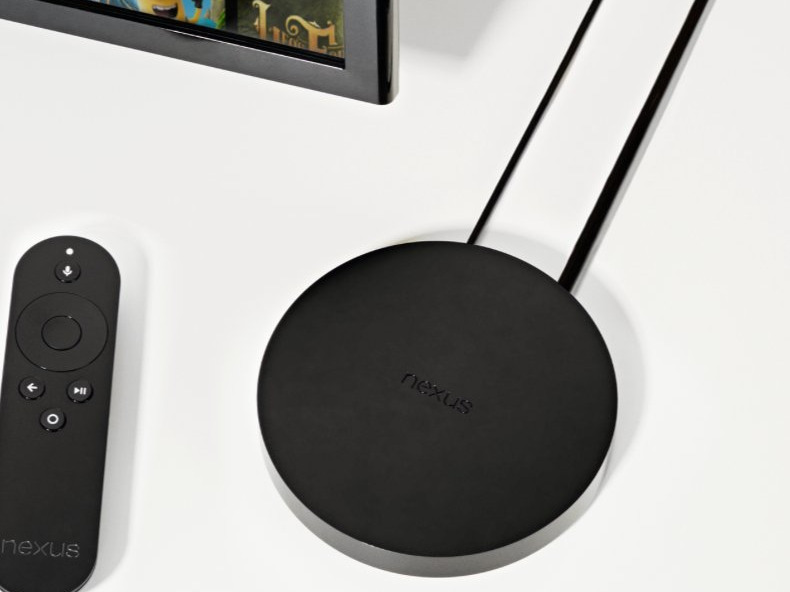 Compared to other TV set-top boxes, the Nexus Player is basically equivalent to the Fire TV, in terms of features, and especially the standalone gaming aspect. 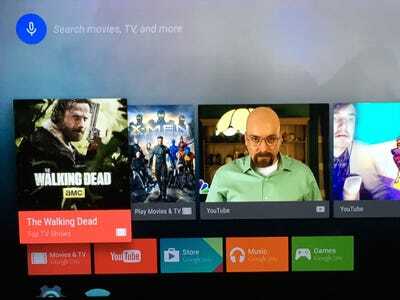 Simply switch out Amazon’s various platforms and stores with Google’s, and you’ve got the Nexus Player. But unless you plan on doing a lot of mobile gaming on your TV, your $US99 would be much better spent on an Apple TV or Roku, which are simpler, easier to use, and more stable than rival services. (And they also have HBO GO, which neither Google nor Amazon have yet.) Otherwise, save yourself $US60 and buy a Chromecast.